In putting together a list of the top California Cabernets, there is sure to be some disagreement. I tried to include those wines that have a track record, the wineries still making great wines, those that seemed to have the commitment for the future and some personal favorites. I am sure I left some out. 1. Shafer Vineyards Cabernet Sauvignon Hillside Select – It’s always hard to name the number one wine. But this has a track record that’s very long. Even in less than stellar vintages, it is an outstanding wine. They just don’t seem to make a dud. My only complaint is the price at over $200 a bottle. But, in comparison to other Napa Cabs or elsewhere in the world, this is a fair price. 2. 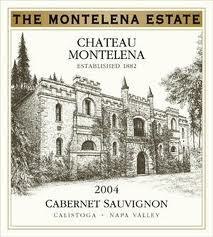 Chateau Montelena Cabernet Sauvignon Estate – This has an even longer track record than the Hillside Select. There have been a few bumps along the way, but for the most part, this is consistently a fantastic wine and has been for decades. Made in a style that many have left behind, this needs to be cellared on release. To truly appreciate how good this wine can be it needs at least a decade in a good wine cellar. 3. 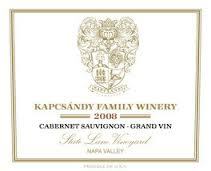 Kapcsandy Family Winery Cabernet Sauvignon State Lane Vineyard (Grand Vin) – This has been made since the 2004 vintage. While not a long tract record, it’s enough to say this is one of the top Cabernets made anywhere in the world. Every year it seems to get better as the vines get older and the cellar practices improve. 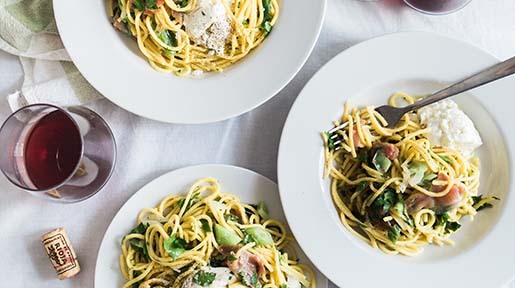 The persnickety approach of Lou Sr. ensures that with every vintage, something improves. Hard to believe it can get better, but I suspect that even “perfection” can be improved upon. 4. 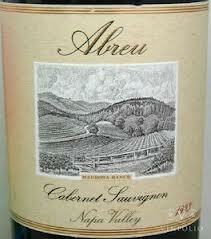 Abreu Cabernet Sauvignon Thorevilos – A great Cabernet that somehow doesn’t get the talk of the other “cult” Cabs. Make no mistake about it though, over the last decade, no Cabernet has been as consistently outstanding. 5. Maybach Materium – Another Cab that dates back less than a decade. Perhaps not as big and in your face as some, this is still a large scale Napa Cabernet at its best. With some age, it shows elegance that belies its size. 6. Screaming Eagle Cabernet Sauvignon – The true cult wine of California. With release pricing at $750 a bottle and after market pricing almost double that, this wine still remains in demand. A place on their mailing list is a position to be guarded. The wine itself is elegant and more Bordeaux like than many Napa Cabs. It is delicious, but don’t expect a powerful bruiser. 7. Spottswoode Cabernet Sauvignon – A classic wine. They have a long history of being a top producer. Spottswoode has produced some of their best wines over the last few years. Not a fruit bomb, but clearly embracing the ripe fruit of California. Always great. 8. 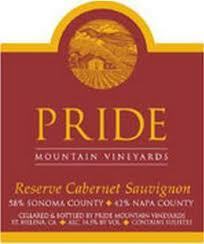 Pride Mountain Vineyards Cabernet Sauvignon Reserve – These wines are difficult to find. One must be on the Reserve list or turn to the secondary market. Unfailingly excellent, this is a wine that needs at least five years and usually a decade to really strut its stuff. 9. Hundred Acre Vineyard Cabernet Sauvignon Kayli Morgan Vineyard – One of the new cults that has come on the scene in the last decade or so. It cannot be dismissed. Always one of the best Cabs made anywhere and at this point, enough of a track record to think they will just keep on producing. 10. 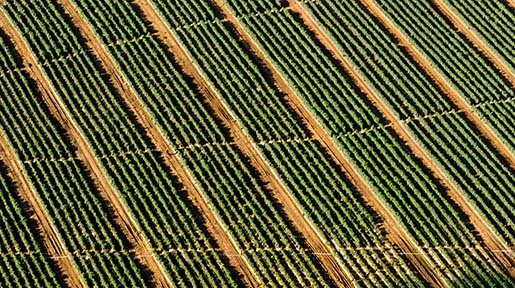 Scarecrow Cabernet Sauvignon – Another one of the new kids on the block. Its first vintage was 2003. This is a fantastic Cab that is more on the elegant side. It comes with beautiful packaging but the wine is the star of the show here. 11. 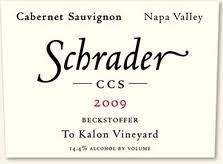 Schrader Cellars Cabernet Sauvignon Ccs – Fred Schrader makes a bevy of outstanding wines. This is one of my favorites. It is classic California Cabernet. Lots of power and fruit. I believe it will age well also, and time will tell. This has always been outstanding but the last handful of vintages have seen another ratchet up in quality. 12. 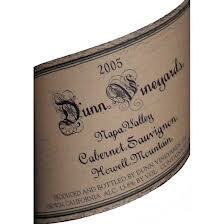 Dunn Cabernet Sauvignon Howell Mountain – One of the old guard in Napa. Randy Dunn makes wines that are built to last. The old joke is partially true about never having had one that was mature. Still, Dunn has not lost his touch and these are wines built to last. 13. Beringer Cabernet Sauvignon Private Reserve – More of the old guard. These wines have been at the forefront of California Cabernet for years. Still great and while they can be drunk young, with maturity, they get a complexity that few wines from anywhere ever achieve. 14. Bond St. Eden – This is a project of Bill Harlan. There is also about 5% Cabernet Franc in the vineyard. A very rich Cabernet, this is not a second wine but a first class California Cabernet. 15. Lokoya Cabernet Sauvignon Mount Veeder - This wine has a track record from the 1990’s but was kicked up a notch with the 2001 vintage. It is one of the stars of the Jess Jackson portfolio. For those who think they are all about Kendall-Jackson Chardonnay, this Cab competes with any wine anywhere. 16. 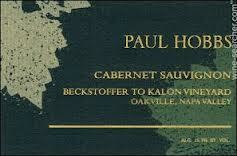 Paul Hobbs Cabernet Sauvignon Beckstoffer To Kalon Vineyard – To Kalon is certainly one of the Grand Cru vineyards of California. While many people utilize its fruit, no one makes a better Cabernet than Paul Hobbs. This is a serious Cab that needs five to seven years in a cellar before it is ready. It will then be good for twenty years. 17. Colgin Cabernet Sauvignon Tychson Hill Vineyard – Perhaps the best wine in the impressive stable of wines produced by Ann Colgin. Although the 2002 is one of those mythical wines of California legend, all the other vintages are great as well. A wine that can be drunk on release or cellared for decades. 18. 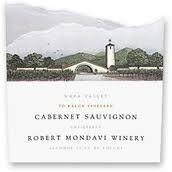 Mondavi Cabernet Reserve – This has been made since the 1970’s. In many ways it is the first wine of the new guard of great California Cabernets. The style has changed over the years. Robert Mondavi has passed and his family no longer controls the winery. The winery is still making some of the best wines made in Napa. More Bordeaux-like in makeup, these are still not huge wines. They need some time in a cellar or decanter. No list of California Cabernet would be complete without it. 19. Plumpjack Cabernet Sauvignon Reserve –A wine that dates back to the middle of the 1990s. This is a wine that somehow flies just slightly under the radar even though it is always outstanding. The bit of Petit Verdot in the blend makes it a bit different than most. 20. 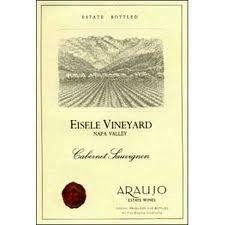 Araujo Estate Cabernet Sauvignon Eisele Vineyard – This wine has over twenty years as one of the top Cabernets being made in California. A bit of Petit Verdot and a bit of Cab Franc gives this wine a bit of varietal complexity. This wine should last twenty years easily. 21. 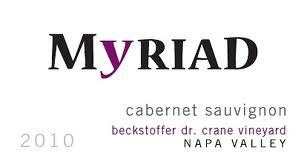 Myriad Cellars Cabernet Sauvignon Beckstoffer Dr. Crane Vineyard – From another Beckstoffer vineyard, winemaker Mike Smith is fashioning a truly great Cabernet. I have only just started to know this winery, but I expect this will be one of tomorrow’s stars. 22. 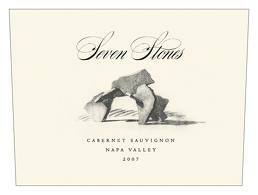 Seven Stones Cabernet Sauvignon – This winery with a short, but impressive, track record. This has been one of my favorite discoveries over the last decade. These are not huge wines, but they are not shy either. Complex and interesting with enough reserve that they work quite well with food. Expensive but worth splurging for if you can. 23. Bryant Family Vineyard Cabernet Sauvignon - One of the original cult wines of Napa. After a bit of a “slump” (they were still quite good) in the early part of the century, they are back to making wines that are flat out, outstanding. While they drink really well on release, a few years of patience will yield a wine that is both powerful and complex. 24. 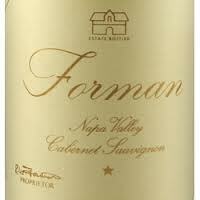 Forman Cabernet Sauvignon - Ric Forman’s wines are some of the best values to be found. They need time to develop to really show their best. But lay one down for seven years or so, and the results are quite special. A classic California Cabernet. 25. 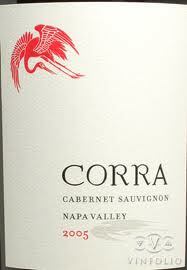 Corra Cabernet Sauvignon – Superstar winemaker Celia Welch’s home winery. This is a chance to experience great winemaking and great Cabernet for a fair price. I think as she fine tunes her methods, this will get better and better. Right now it needs a few years in the cellar and should be great for another decade at least. 26. Bevan Cellars Cabernet Sauvignon Showket Vineyard – Russell Bevan has an ability to make wines that drink better on release than anyone else. Will his wines age? Not in my cellar. They are too good young. Perhaps we would be paying a premium for that instead of for wines that won’t be ready to drink for twenty years, but these are expensive enough. Still, I always try to buy a few as they are so good. 27. 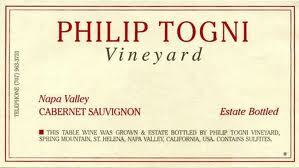 Philip Togni Cabernet Sauvignon – These have a track record back to the mid-1980s. Almost every vintage has been stellar. 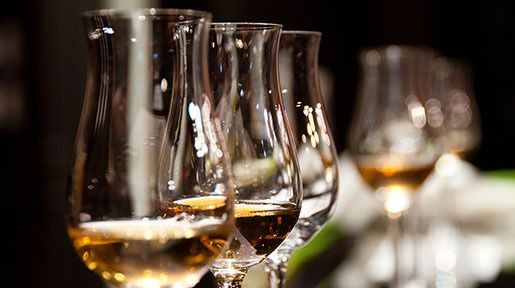 While some of the older wines have long life spans, as of late the wines drink better earlier. Either way, they are great. 28. 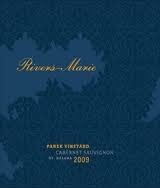 Rivers-Marie Cabernet Sauvignon – From superstar winemaker Thomas Rivers Brown home winery. Although this winery often gets more press for their Pinots, their Cabs are great too. They need a few years in the cellar to develop, maybe more than a few, but the cellaring is worth it. 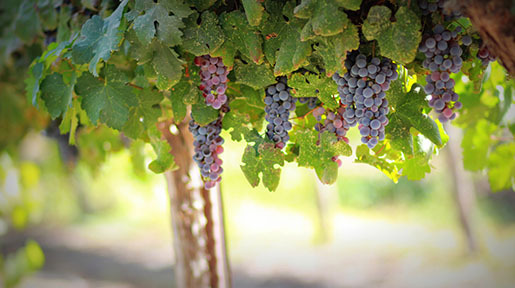 Some of the best values in California Cabernet. 29. Herb Lamb Cabernet Sauvignon HL Herb Lamb Vineyard – Ann Colgin’s Cab from this vineyard gets more publicity (and might even be better), but this is half the price and really very good also. From an iconic grower in Napa. 30. Pott Wine Cabernet Sauvignon Kaliholmanok Bel Canto – Aaron Pott is one of the up and coming winemakers in California. This is from his own winery. He makes a lot of different wines and they are all good. They are a bit austere in their youth but seem to develop well. Make sure you give it a long decant if you want to try one young. 31. 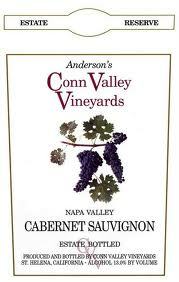 Anderson's Conn Valley Cabernet Sauvignon Reserve – Although this has been made since the mid-1990’s, it really took a jump in quality with the wonderful 2001 vintage. A classic styled Napa Cab. It drinks well young and has a sweet spot of 5 to 15 years. 32. Morlet Family Vineyards Cabernet Sauvignon Passionnement – Frenchman Luc Morlet makes a few different Cabs. I believe this is his Grand Vin. While they are all good, this one is even a notch or two better. Just starting to get some buzz, this may be one to get in on the ground floor now. 33. Hobel Wine Works Cabernet Sauvignon Engelhard Vineyard – Another new Cab also made by Thomas Rivers Brown. Only their second vintage, I include them because they seem to care by doing everything the right way. I would expect that they will start to see some buzz in the next few years. 34. 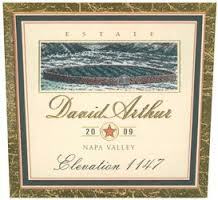 David Arthur Cabernet Sauvignon Elevation 1147 – This may be the best of the David Arthur stable. Its history goes back to the mid-1990s. These are dark intense wines made in a modern style. They drink well after five years or so from vintage. These are very big wines that I think will last for 25 years in a good cellar. 35. 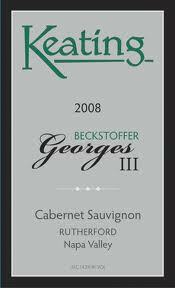 Keating Cabernet Sauvignon Beckstoffer Georges III Vineyard – This is a new wine with two vintages to offer. Both have been excellent and its relative obscurity offers drinkers a chance to drink great wine from a vineyard that often commands double or triple the price that this wine sells for. It needs a few years in the cellar or a few hours in a decanter. Should be good for fifteen years. 36. 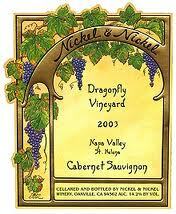 Nickel & Nickel Cabernet Sauvignon Dragonfly – This producer makes quality wines from many different vineyards. This Cab from St. Helena is a favorite although all are very good. It is a bit more feminine and has more red fruits than purple. It makes great drinking in the first decade. 37. Drinkward Peschon Cabernet Sauvignon Entre Deux Mères – Another cab that hovers a bit under the radar. It has been produced for over a decade. There is a bit of Cabernet Franc in the blend. Reasonably priced. This drinks like a Bordeaux wine to my tastes although clearly from California. It is more restrained. Yet, it is good to go on release. 38. Diamond Creek Gravelly Meadow – Here is a Cabernet with some history. It was first produced in the 1970s. In the 1980s, this winery was one of, if not the first to crack the $100 price point from California. After a less than stellar decade in the 90s, they have been producing much better wine this century. These are wines still built the old fashioned way. They need time in a cellar to mature and develop. Once ready, say eight years, they should last for a couple of decades depending on vintage. 39. 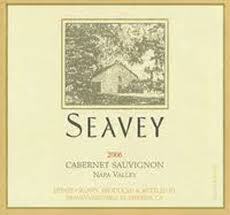 Seavey Cabernet Sauvignon – Talk about flying under the radar. What if I told you that this winery had produced an outstanding Cabernet in every vintage since 1990? Most people still have not heard of them. Yet, they are still at it. These have about 10% Petite Verdot. These are big, ripe friendly wines that in most vintages will still last for twenty years. 40. 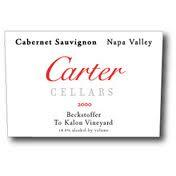 Carter Cellars Cabernet Sauvignon Beckstoffer To Kalon Vineyard – Traditionally, these were powerful and backward wines that needed some time to develop. And develop they did. Under winemaker Mike Smith (of Myriad), these drink well with just a few years of age on them. To list a wine as Cabernet on the label it must have 75% of that varietal. Even then, there are many wines that while they could do so, choose not to. Instead these wines are often sold as a Proprietary Red blend. Some of these wines fall into that category, while others fall short in some vintages. Still, it seemed like they should be mentioned in any discussion of California Sauvignon. 41. 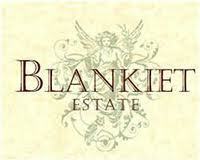 Blankiet Estate Cabernet Sauvignon Paradise Hills Vineyard – This is used to be labeled as Cabernet but is now labeled as Proprietary Red, but my understanding is that it still could be legally labeled as Cab. That means at least 75% Cabernet Sauvignon. This is a lush, drink sooner rather than later wine, but for ten to twenty years, it will provide significant deliciousness. 42. 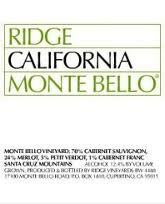 Ridge Monte Bello – One of the all-time classic California red wines. Its history goes back to the 1960s. A Bordeaux blend of varying percentages each vintage, this is a wine that is almost always outstanding. It can be drunk young but really needs time in the cellar to mature to achieve its true greatness. I would recommend holding these for at least ten years and preferably fifteen years from vintage before opening. 43. 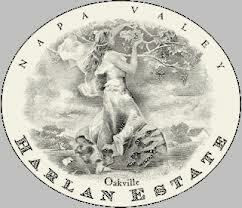 Harlan – One of the definitive cult wines of California. More than one wine lover has told me that the 1994 is the best red wine ever produced in California. It’s usually a blend with a high percentage of Cabernet. These wines will last decades in a good cellar. Some of the best wine Napa has to offer. 44. 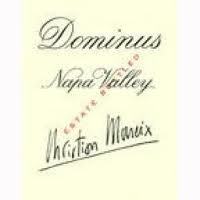 Dominus Proprietary Red – From the Moueix family of Bordeaux fame. This may be the most Bordeaux-like of all the California great wines. It drinks like a classified growth from the Left Bank. It needs time on release and will last for decades. 45. 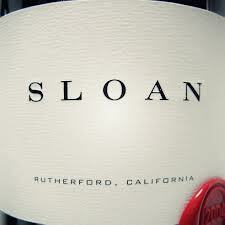 Sloan Proprietary Red – This has a track record over a decade. It is flat out one of the best of the newer wave of California wines. It is a Bordeaux blend with around 80% to 85% Cabernet Sauvignon. This is a wine that needs time. It is powerful and built to last. 46. 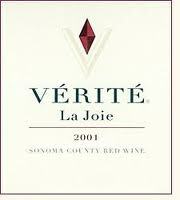 Verite La Joie – Another wine from the Kendall Jackson stable. This is a great California Cabernet blend. It has always been priced aggressively, but there is no doubt about the pedigree of the wine. This will last for decades and really needs at least a decade to develop. 47. 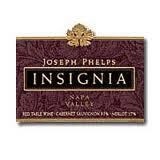 Joseph Phelps Insignia Proprietary Red Wine – Another of the old guard wines. This has a track record that goes back to the early 1970’s. Always outstanding. At one time, this was very expensive but the market has caught up with it. While not inexpensive, it is priced fairly. It drinks well on release and will last for a couple of decades or more. 48. Robert Foley Vineyards Claret – From former Pride winemaker’s eponymous winery, I believe this is a high percentage of Cabernet Sauvignon. It certainly has the backbone to last for a long time. Give it some time in the cellar to integrate although I think the oak regimen has come down a bit in the last few years. 49. Peter Michael Winery Les Pavots Proprietary Red Wine – A Bordeaux blend, this may be the best Cabernet blend to come out of Sonoma. It usually is a few percentage points shy of 75% in Cabernet, but close enough that is needs to be on this list. 50. Colgin IX Proprietary Red – A Bordeaux blend from this esteemed estate. This may, in fact, be their best wine. 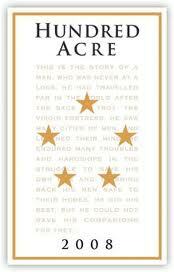 A wine that consistently flirts with perfection. The percentage of Cab seems to vary from the high 60s to the mid-70s. This is a serious wine that needs to be cellared. Well, that is my list. I would love to hear your comments. Especially those wineries that you think belong on the list.